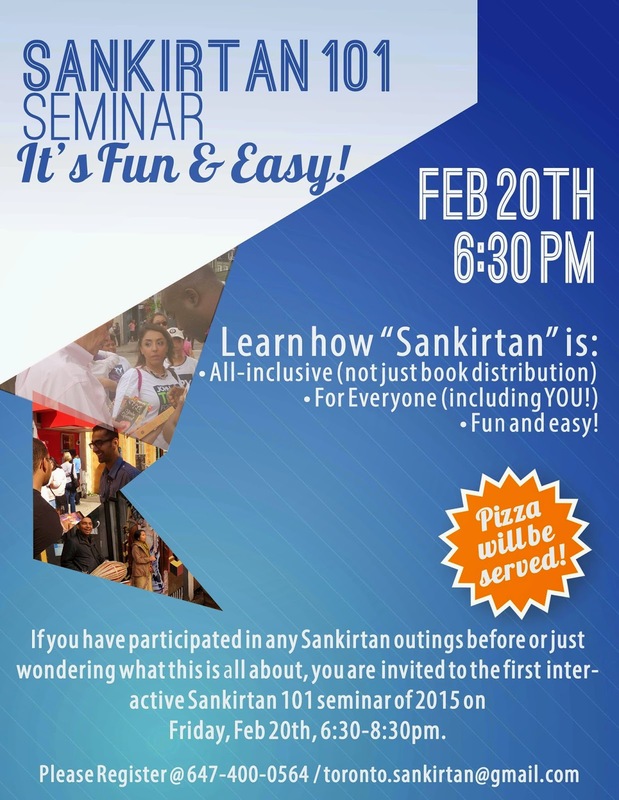 Sankirtan 101 Seminar - Friday, February 20th, 2015 ~ The Toronto Hare Krishna Temple! Sharing Krishna consciousness with others is surely like an express highway to becoming dear to Lord Krishna and this coming weekend you will have an opportunity to equip yourself with the best tools and techniques in achieving this cherished goal. Gain inspiration and empowerment through a special seminar Sankirtan 101! So whether you are a seasoned veteran, or just an aspiring book distributor, this seminar is for you! Please come, get inspired and inspire others through your desire to share Krishna consciousness!